News excerpts from contribution by Helen Yim, Daily Bruin contributor. On Tuesday (today, Oct 9), the Muslim Student Association (MSA) of UCLA will host Fast-a-thon, an event that invites non-Muslim students to experience a day of fasting. At 6:30 p.m., the MSA will invite the students that have fasted to break their fast together at a dinner on Bruin Plaza as student speakers discuss their experiences with fasting. 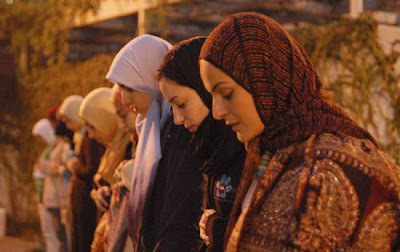 While fasting during Ramadan helps Muslim students to reflect on their souls and grow closer to God, the increased religious commitments also challenge them to implement time management skills and provide opportunities to commune with each other. Naqib Shifa, a third-year geography and environmental studies student and president of MSA, said the goal of the Fast-a-thon is to give to charity while educating students about the importance of fasting to Muslims. Shifa said MSA plans to donate all the money raised in the Fast-a-thon to Islamic Relief, an organization that helps orphans around the world. The Fast-a-thon will be sponsored by local businesses that agreed to donate one or two dollars for every non-Muslim student that signs up to fast for the day, Shifa said. Sara Hussain, a third-year bioengineering student and vice president of MSA, said a representative from Islamic Relief is scheduled to discuss the ways the organization provides aid to needy orphans. [>] read the story in full here.
. Daily Bruin is the regular newspaper published by University of California, Los Angeles.